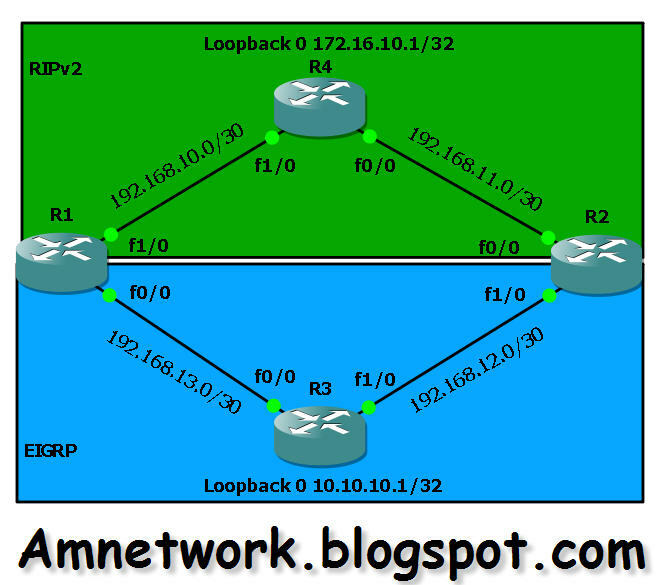 1 1- Enable routes at each side to be known by each routing protocol. 2 2- Avoid routing-feedback loop. 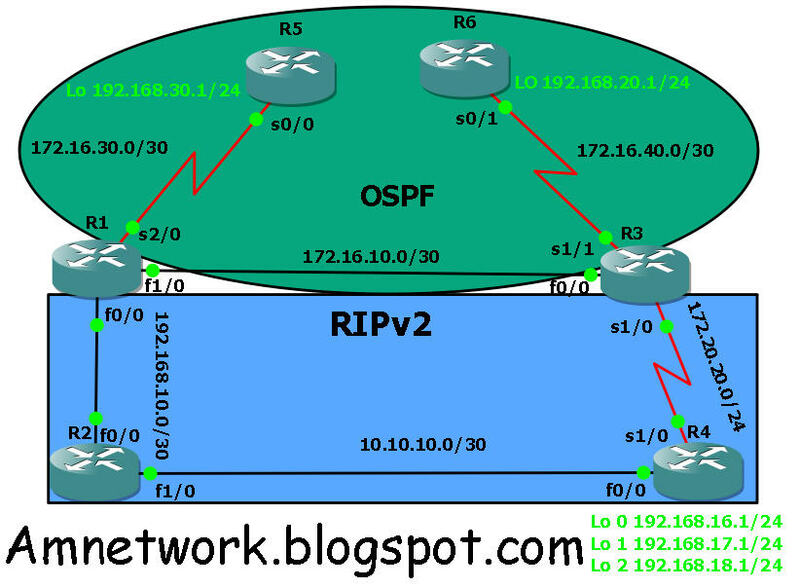 1- Networks 192.168.10.0/30, 192.168.17.0 and 172.20.20.0/30 should not be advertised in OSPF domain. 2- R3 should use RIP to reach 10.10.10.0/30, no route-maps, distribute-lists or prefix-lists should be used. 3- 192.168.16.0/24 should be advertised in ospf with metric of 200 and metric type of 1. 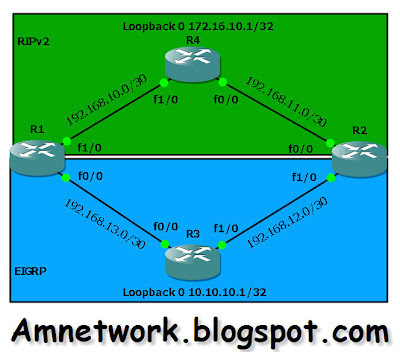 4- Any other route redistributed in ospf should be redistributed with a metric of 5000 and type 2. 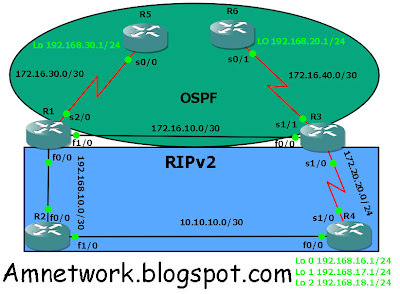 5- Without redistributing ospf routes back into RIP, RIP domain routers should be able to reach any network in the ospf domain.